Microsoft has announced today plans to make its Surface RT tablet available at retail stores as soon as mid-December, to take full advantage of the holiday season. 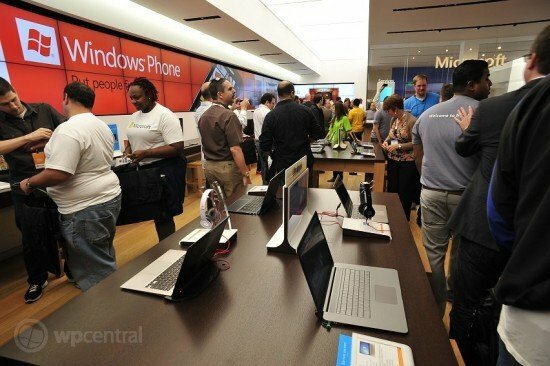 In addition to the extension of sources where Surface tablets will be available for consumers to purchase, Microsoft will also turn several of the temporary stores that were opened for the Surface launch into permanent retail outlets. "The public reaction to Surface has been exciting to see. We’ve increased production and are expanding the ways in which customers can interact with, experience and purchase Surface." "Our plan has been to expand the retail presence for Surface after the first of the year. Based on interest from retailers, we are giving them the option to carry Surface with Windows RT even earlier." The hardware is currently available at Microsoft retail stores in the US and Canada, as well as online in Australia, China, France, Germany, and the UK (as well as the US and Canada). The company isn't looking to slow down with just the expansion of its stores and locations where is latest hardware is available as Microsoft has also been in talks with landlords to bring stores to Europe. The Surface tablets have been restricted to a handful of markets, so it's positive to see Microsoft taking measures to increase productivity as well as availability worldwide. Update: According to a report over at Yahoo!, Staples is one of the named retail chains that will be selling Surface tablets. The product will be available in stores and online as early as December 12th. Those who purchase a Surface RT tablet from Staples will receive free personalised training, free support and free startup for their new tablet. If you opt for the $699 model you'll be eligible for a free data transfer from an old PC.